Discussion in '2018 LitRPG Books' started by John Rickett, Oct 9, 2018. Phew... well... Yeah. So what, it took me over a year. Two complete manuscripts trashed. Crippling self-doubt. A determined push to rid myself of word-constipation. What's it to you!? Huh? HUH?? Book 2, in what is now the Savage Legends Series. 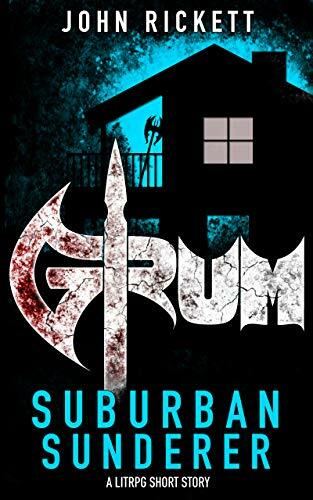 Two weeks after being transplanted to our world, Grum, a level-99 barbarian finds himself banished to his boss Eli’s suburban rental property with a laundry list of chores—and nothing to kill, except time. But when Grum meets a crafty little girl named Romy, he learns of a hidden kingdom nestled in the woods at the end of Juniper Street. A kingdom that Romy insists is ripe for the taking—so long as Grum does exactly what she says. WARNING: Contains 60% more BARBARIAN! than book one, stat blocks, gamer jokes, drug use, sexual references, crude humor, idiocy, battle-axes, magic items and experience points. visit www.johnrickett.com for um... story stuff. Or something.